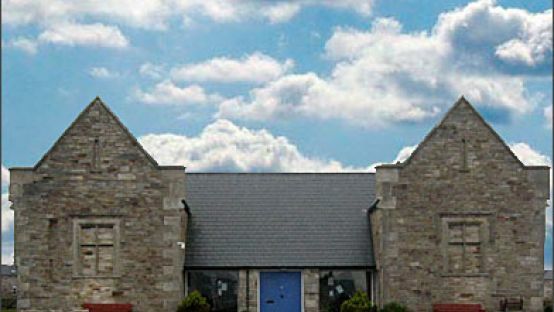 The Workhouse Famine and Heritage Centre is on the outskirts of Dunfanaghy in County Donegal overlooking Sheephaven Bay and within easy walking distance of Horn Head and the fabulous Tramore Beach. Hear and see the true story of wee Hannah, a child of the famine and typical inmate. They run a schools programme, adult craft courses and weekend workshops as well as heritage events and walks. The coffee shop serves home made lunches and snacks. There is also an art gallery, a well stocked craft and book shop, a community playground and a tourist information point with free WiFi and internet access. It has evolved into a popular destination for locals and visitors alike with a coffee shop specialising in home baking, a craft shop that is slowly extending it’s range of local Donegal crafts and a Community Playground and Toddler Park.